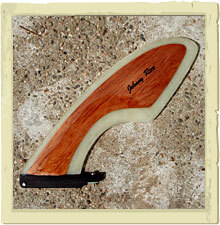 Johnny partners with Rainbow® Fin Company (RFC) to create some of the finest high-performance fins available today. 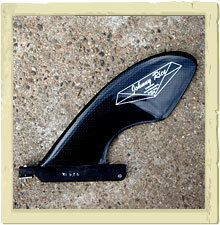 Designed by Johnny, these fins are made to hold up to the pressure of the power turn with the broad tip, yet not drag in the water around the cut away base. 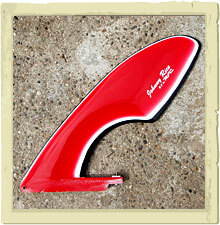 These are the fins that go out on every Johnny Rice custom surfboard. 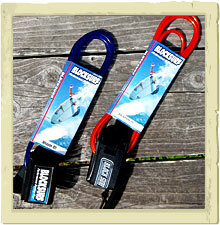 Johnny also stocks accessories such as leashes and board bags. 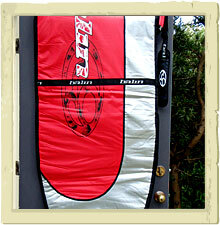 If you would like to purchase any of these for your board, just put in a call to him. 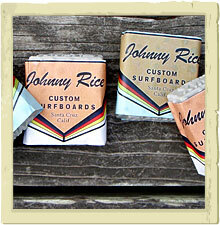 Below are images of current Johnny Rice Rainbow Fin models, as well as accessories.